With the current-gen console cycle already half a decade in, many publishers are holding off from introducing new IPs until the next generation arrives. Luckily for us, Bethesda is hoping to buck the trend and release an entirely new franchise next year. A first-person stealth action adventure title, Dishonored is under development by Arkane Studios, and will be the first game from the studio since it was acquired by ZeniMax back in 2010. Arkane Studios is made up of some of the industry’s best talent, with co-creative directors, Raphael Colantonio – the lead designer on Arx Fatalis, and Harvey Smith – the lead designer on Deus Ex, helming the project. Viktor Antonov, the designer of Half-Life 2‘s City 17, is also involved in creating the world. Dishonored is the antithesis of a edge-of-your-seat roller-coaster ride. It’s a game about assassination where you don’t have to kill anyone. It’s a game about infiltration where you can set up traps and slaughter the entire garrison of an aristocrat’s mansion rather than sneak in. It’s a game about brutal violence where you can slip in and out of a fortified barracks with nobody ever knowing you were there. It’s a game about morality and player choice where the world you create is based on your actions, not navigating conversation trees. 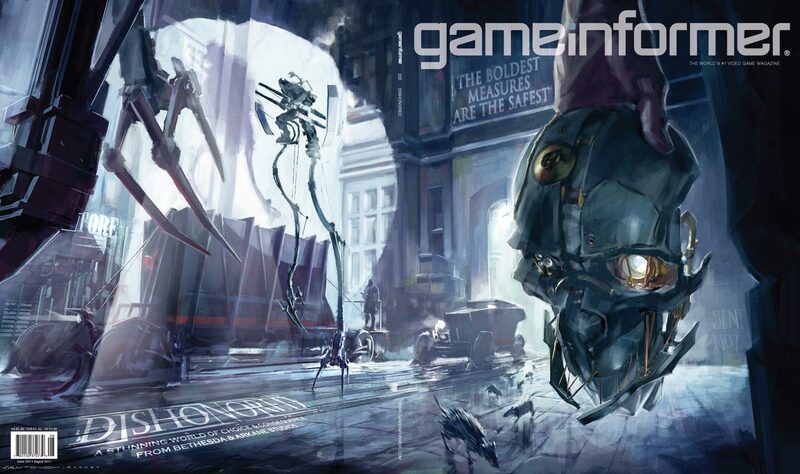 Dishonored is a game we can’t wait to tell you more about. Dishonored is set to release sometime in 2012 on PS3, 360 and PC, and we’ll be sure to bring you more details about the game as soon as they are available.